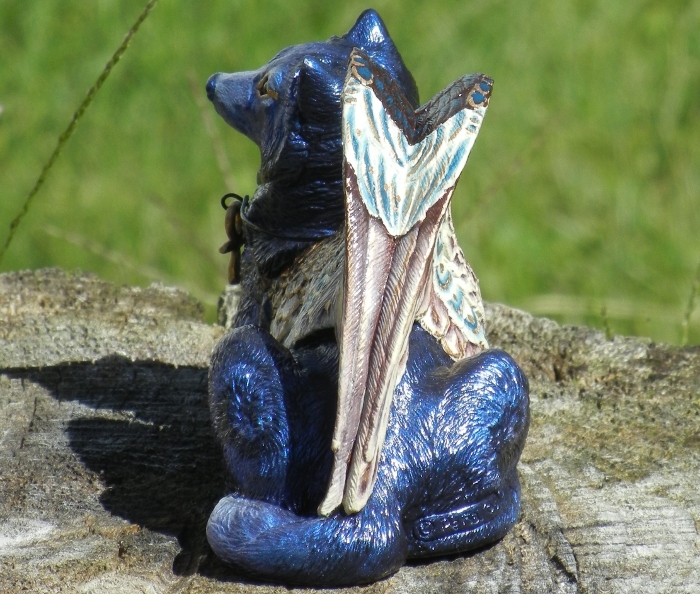 My very first ever PYO wolf! 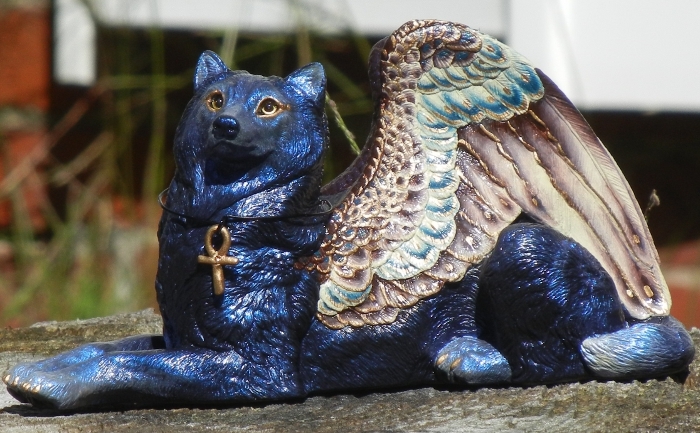 This guy was painted with inspiration from the Egyptian god Anubis, and was named after him as well. 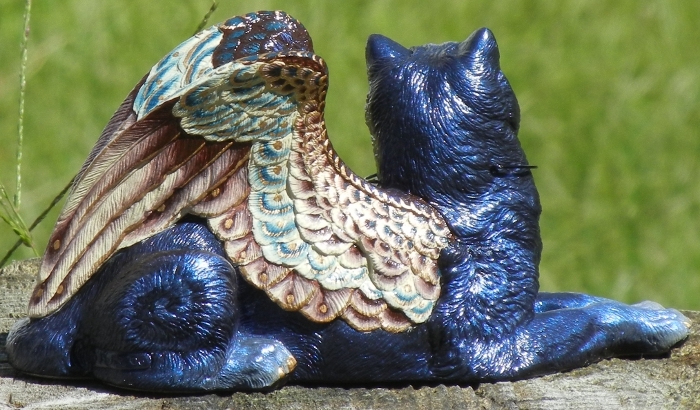 He has a dark blue coat of fur with interference on it as well as having special metallic gold eyes from Tohickon Glass. I made a completely removable choker with ankh in order to pull more gold from the scheme onto his fur.